Do what Roger did. 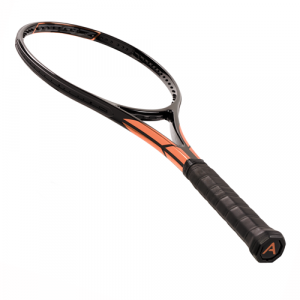 Design a 97″ custom racket that meets the needs of YOUR game. Fitting perfectly between our menacing TC95 options and our serving monster TC100″, the new TC97 is primed to be the racket of choice for a wide audience of players. Enhanced feel and stability come from the new box section design, whilst the hoop beam thickness is slim to allow plenty of flat shots without the fear of framing. Design a TC97 V3 custom racket that meets the needs of YOUR game. Fitting perfectly between our menacing TC95 options and our serving monster TC100 , the new TC97 V3 looks likely to continue being the racket of choice for a wide audience of players. A new version of our control orientated CUSTOM TC97. The slightly denser string spacing creates a stable hitting surface at any string tension whilst still allowing spin generation and plenty of power. Enhanced feel and stability come from the new box section design, whilst the hoop beam thickness is slim to allow plenty of flat shots without the fear of framing.